Meet Our Team – Trinity Lutheran Church of Freistadt! Pastor Carl came to Trinity in 2008 after earning his Master’s of Divinity degree from Concordia Seminary, Saint Louis. He was ordained into the pastoral ministry on July 22nd, 2008 at St. John Lutheran Church, in Indianapolis, Indiana. Pastor Carl served his vicarage at Saint Paul’s Lutheran Church in Decatur, Illinois. In 2004, he earned his Bachelor’s Degree in secondary education, mathematics from Concordia University in River Forest, Illinois and student taught at Walther Lutheran High School in Melrose Park, Illinois. 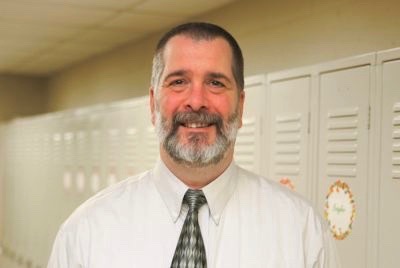 His ministry experience includes coaching basketball at both the grade school and high school level, as well as three summers of service at Camp Lakeview in southern Indiana, where he served for two years as a counselor and one year as summer program director. Since 2013 he has served Trinity in the role of senior pastor. He loves to spend time with his wife, Katie, and his five children (Lydia, Esther, Elizabeth, Ruth, and Silas). His interests also include camping, reading, playing basketball, and do-it-yourself projects around the house. Brian Axtman joined Trinity in the summer of 1998. 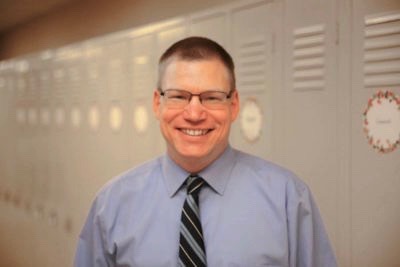 Brian graduated from Milwaukee Lutheran High School in 1988, and went on to pursue a B.S. in Communication with an concentration in Radio, Television, Film & Computer Animation at Northwestern University in Evanston, IL. His time in Chicago was spent producing, directing and acting in various theatrical, television, live sports and film projects. After college, Brian spent 20 years in the media business, starting, managing, developing, merging, buying and selling companies in Mequon, Milwaukee, Chicago, Tampa, Los Angeles, Reno, Las Vegas, Washington D.C., Rochester, New York City and Charlotte. Brian is currently pursuing a Masters of Business Administration in Finance and Organizational Management at Grand Canyon University in Phoenix, AZ. In addition to his current role as Executive Director and School Choice Administrator, here at Trinity, he also is part of the contemporary worship team. Brian serves on the Board of Directors for Living Word Lutheran High School, the annual Christ For Africa mission auction, and is an Executive Producer and Board member for Congo Unites, an international relief organization fighting genocide and child slave trafficking in Eastern Africa. He is married to Angela, and they have 5 children (Jonathan, Daniel, Michael, Matthew and Emily), all graduates of Trinity School. Outside of work, Brian enjoys golf, managing investments, commercial real estate, writing and public speaking. Future goals include teaching at the college level, and developing financial literacy curriculum. Sam Seefeld joined the Trinity family in the summer of 2018. Sam graduated from Milwaukee Lutheran High School in 2003 and went on to pursue history and pre-seminary studies at Concordia University St. Paul. He later earned a teaching certificate at Concordia University Wisconsin (CUW). 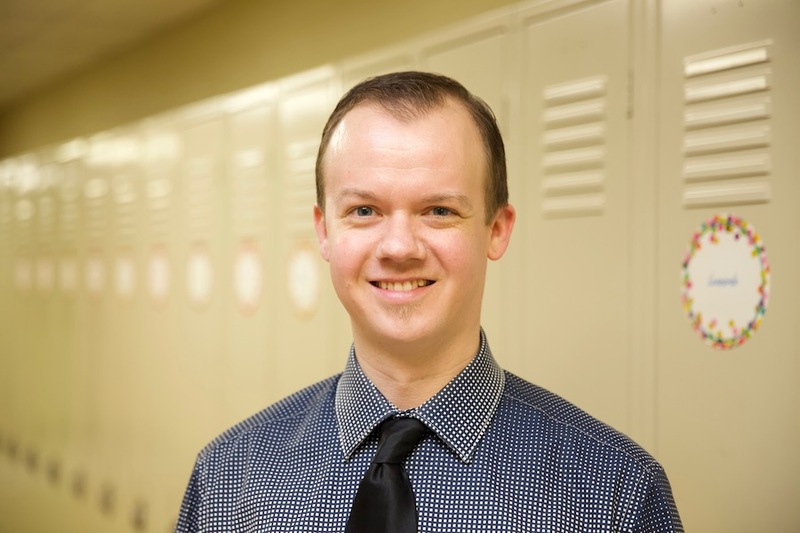 Following the completion of the program at CUW, Sam worked as a teacher, coach, and class mentor at Faith Lutheran High School in Las Vegas, NV from 2009 to 2013; he completed an MS in education in 2010. While in Nevada, Sam began doctoral studies at the University of Nevada Las Vegas; this led to an internship and position at CUW where he worked from 2013 to 2015 with disability services and institutional research. 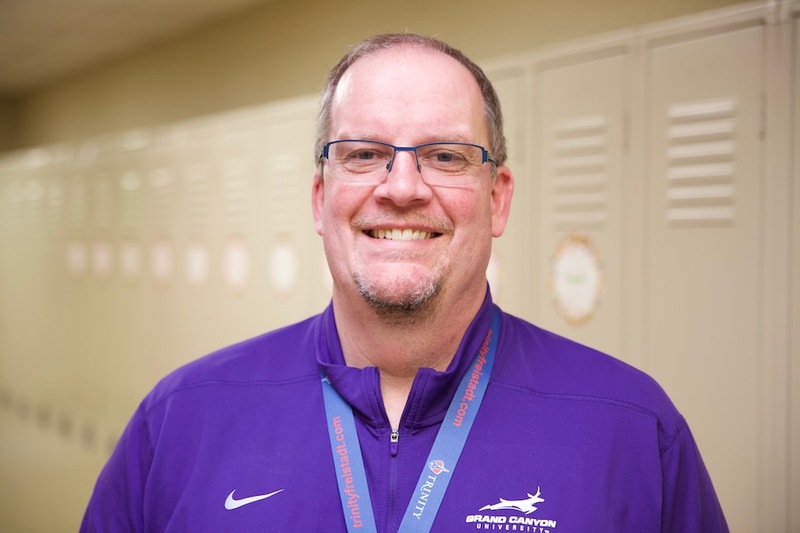 In 2015 Sam accepted a Call to serve as the Dean of Students at Milwaukee Lutheran High School where he also coached varsity golf, and focused on growing the chapel program by starting a student-led worship team. He completed his Ph.D. in May of 2016. 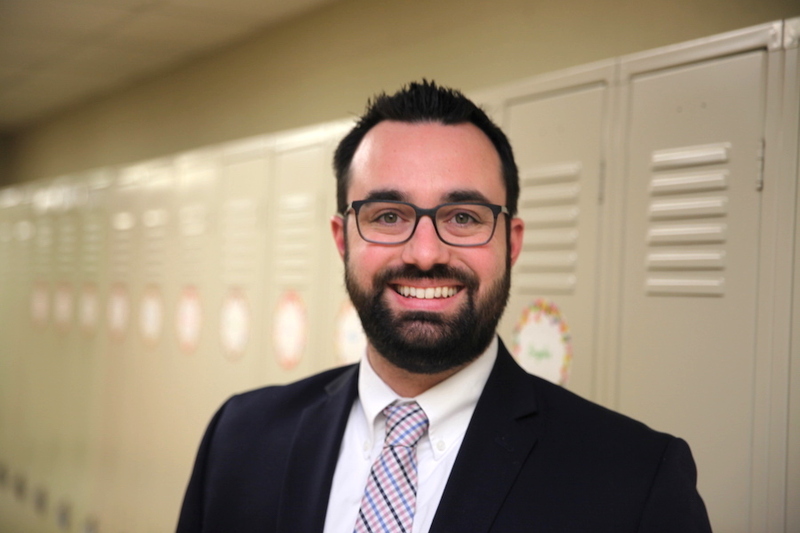 As a Principal and educator Sam focuses on best-practices, data-driven instruction, and high standards. Outside of Trinity, Sam serves on the board of directors for Camp LuWiSoMo and on the Committee for School Quality with School Choice Wisconsin. He enjoys spending time with his family (wife Hannah, son August, and daughter Elena) along with golfing, reading, and playing in area worship bands. Rick came to Trinity as a third grade teacher back in the summer of 1984. From 1984 through 1998, teaching third grade for four years and fifth grade for ten years. He also coached football, basketball, softball and track. In 1999, Rick transitioned into the position of Director of Youth and Family Ministry. When Trinity needed an interim principal in 2007, Rick moved into that role while continuing to oversee youth and family ministry. When Trinity called a full time principal in 2010, he transitioned to his current role as Director of Discipleship. Rick is native to the Milwaukee area, having attended Mt. Calvary Lutheran Church and graduating from Milwaukee Lutheran High School in 1980. He received his Bachelor of Arts degree (1984) as well as his Master of Science degree (1989) from Concordia University Wisconsin. Rick has been married to Kathleen since May of 1984, and has been blessed with three children – Robin Michael (30) Hannah Margaret (28) and Andrew Curtis (25). Robin and his wife (Hannah Audrey) gave Rick and Kathy a grandson, Richard Luther, (Ricky) in November of 2017. In his spare time, Rick enjoys golf, following the Milwaukee Brewers, and working in his yard. Cindy Mollwitz was welcomed to the Trinity team in the fall of 2013 after retiring from her role of Director of Business Technology Services at Robert W. Baird & Co. where she served for just shy of 25 years. Prior to her time at Baird, she worked for 2 years at WITI TV6 in Milwaukee. Cindy graduated from Marquette University with a Bachelor’s of Arts degree, majoring in Broadcast Communications. Her ministry experience at Trinity and a previous congregation includes Sunday School teacher and superintendent, Vacation Bible School teacher and director, evangelism committee and director, stewardship committee and director, financial secretary and treasurer, as well as leadership roles in various capital campaigns, missions, auctions, and children’s events. Cindy, her husband Fred and daughter Katy have been members at Trinity since 2005. She enjoys spending time with her family, gardening, reading, finishing DIY projects, and playing a challenging game of Scrabble. Her focus as Ministry Coordinator is to work collaboratively across the organization to pursue and bring excellence to all areas of ministry at Trinity. Stefanie Herbert grew up in Muskego, WI and graduated from Wisconsin Lutheran High School in 2004. After traveling to Mexico on a mission trip, she fell in love with children and teaching and went on to get her degree in Elementary Education at Wisconsin Lutheran College. While attending WLC, Stef interacted with a non-profit Christian organization called the Center for Urban Teaching which lead her to her first classroom, teaching First Grade at Garden Homes Lutheran in Milwaukee. After teaching and coaching there, she moved on to teaching K3 at St. Paul’s Lutheran in Muskego. 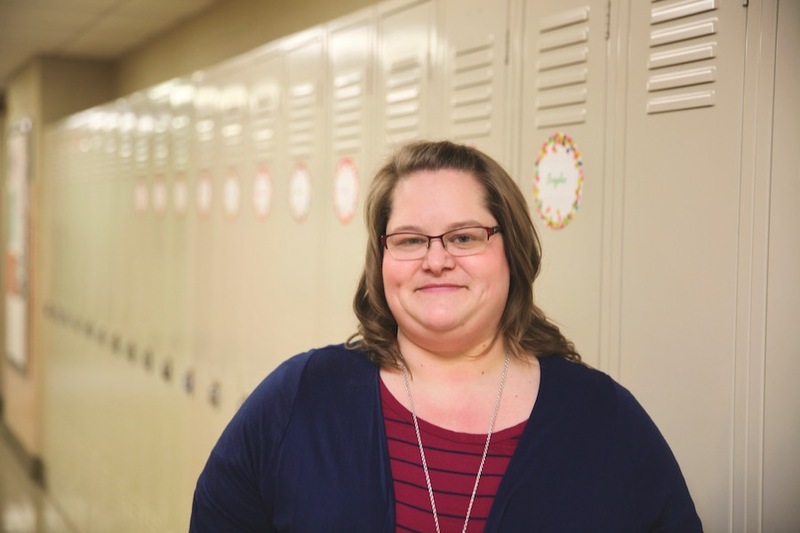 After her two kids were born, she began instructional coaching for the Center for Urban Teaching as well as directing an extended care program for their church and school in New Berlin. Throughout her career, Stef has also coached many sports including volleyball, basketball, and track. Stefanie is graduating with her Master’s in Leadership and Innovation in 2019 and excited to use all she has learned over the past 3 years in the program. She loves spending time with her family (husband Matt, son Nolan, and daughter Addie), playing volleyball, reading, traveling, warm weather, and DIY projects. Melissa Appleby grew up in Mequon, Wisconsin where she attended Calvary Lutheran (present-day Christ Alone Lutheran) and then Homestead High School. From there, she graduated from UW – La Crosse with an Elementary Education major and an Early Childhood minor. After graduation, Melissa became a 4K teacher at Building Blocks Christian Learning Center in Mequon. She taught for six years at BBCLC, as well as coached cheerleading and assisted with coaching volleyball at Calvary. 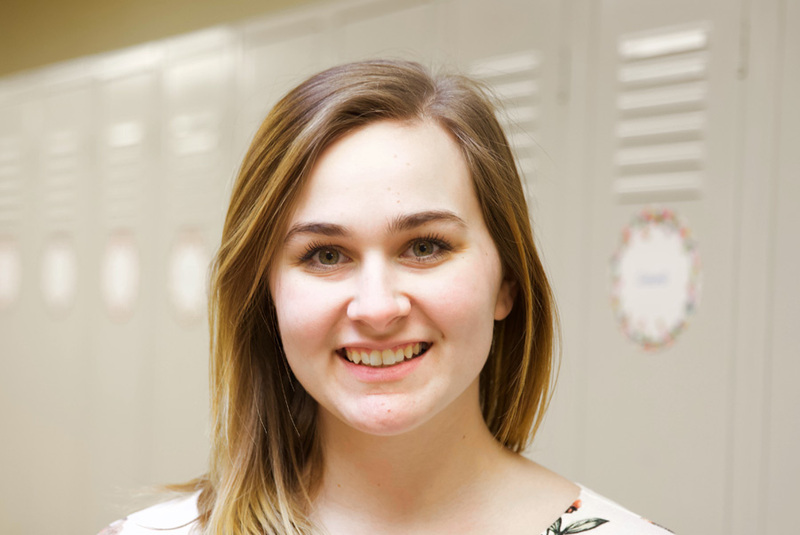 In 2017 Melissa had the exciting opportunity to join Trinity’s staff as a 3K/4K teacher. Trinity has been a wonderful place for Melissa to educate God’s young children and to share her love of learning with students. When she’s not at school Melissa can be found spending time with friends, family, and her English Bulldog Winston. She loves health and wellness activities including working out, preparing healthy meals, and participating in her local running club. She also enjoys taking art and craft classes at local shops. 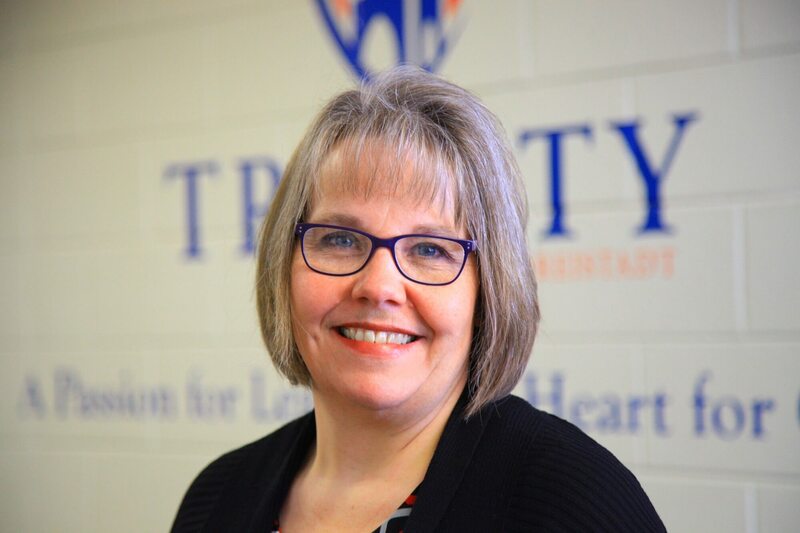 Stacy Gehrke joined the Trinity Family in January 2003. Stacy Graduated from Concordia University Wisconsin in 2002 with a degree in Early Childhood Education and a minor in Administration. She was called to the Trinity Family to serve as Child Care director and quickly took on more roles including preschool teacher (for 14 years), yearbook advisor, and spent some time working with the youth group. While Child Care director Stacy focused on making it a center rather than wrap around care and extended services to include Infant and Toddler care. 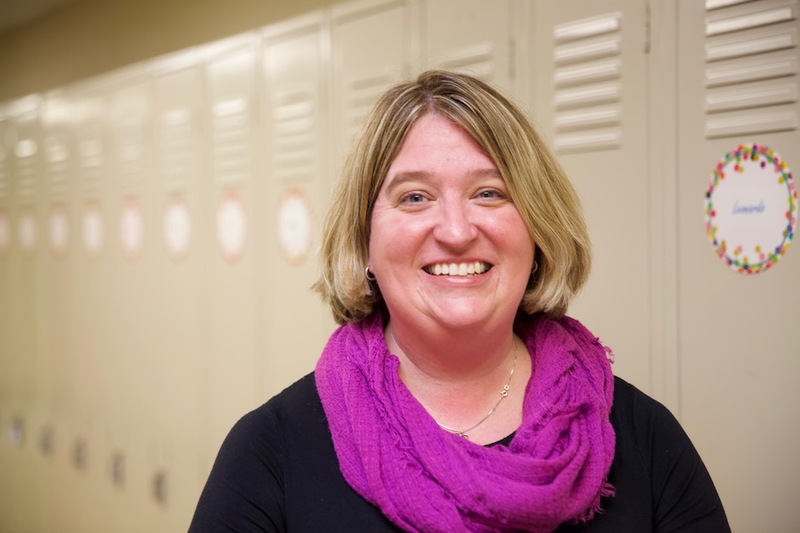 After the birth of her first child in 2010, Stacy stepped down as director and focused on teaching. 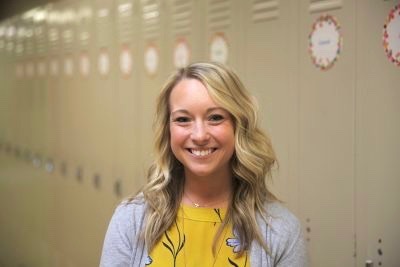 In 2012 Stacy graduated with her Master’s in Early Childhood Education from Concordia University Wisconsin, where she focused on the importance on keeping play in the classroom. She has served on the South Wisconsin District Early Childhood team for six years, two of them as director. 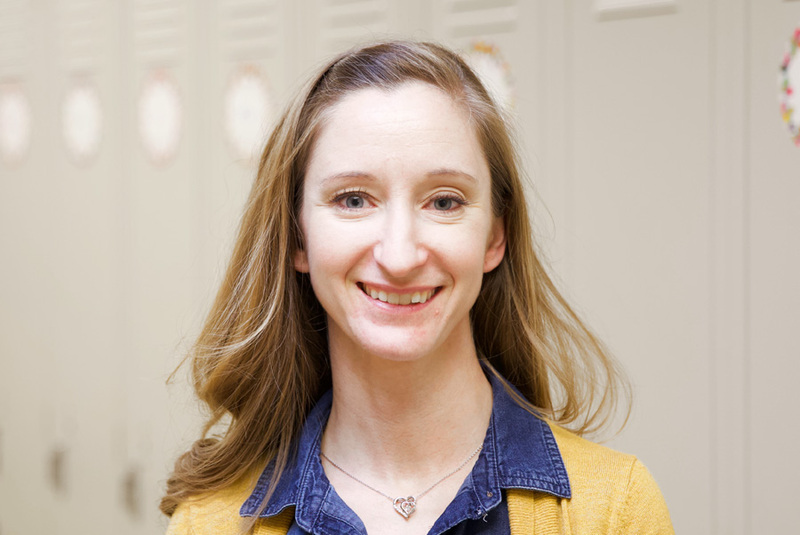 In 2017 Stacy moved from teaching preschool at Trinity to Kindergarten and that is where God is using her currently and she continues to focus on meeting high academic needs with appropriate approaches for young children through free play, game play, and hands on centers (or guided play). She enjoys being with her family (husband Jason, daughters Emmaline and Annabel), crafting, online scrapbooking, and being outside in God’s creation. Sarah Knuth joined the Trinity Freistadt family in 2006. Sarah graduated from Cedarburg High School in 2000 and then attended Concordia University, Mequon. She graduated from CUW with a bachelor’s degree in early childhood education in 2005. Sarah’s first call was to teach full day Preschool at Immanuel Lutheran in Palatine Illinois. In 2006, she was called to teach here at Trinity as a 3rd grade teacher. In 2018, she made the switch to 1st grade. She loves all the exploring, reading, and laughter that happens in the classroom. Outside of school, she loves crafting, reading, bowling, nature walks, and a good detective show. She also enjoys spending time with her husband (Robert) and her daughters (Kaylee, Brianna, and Jillian). 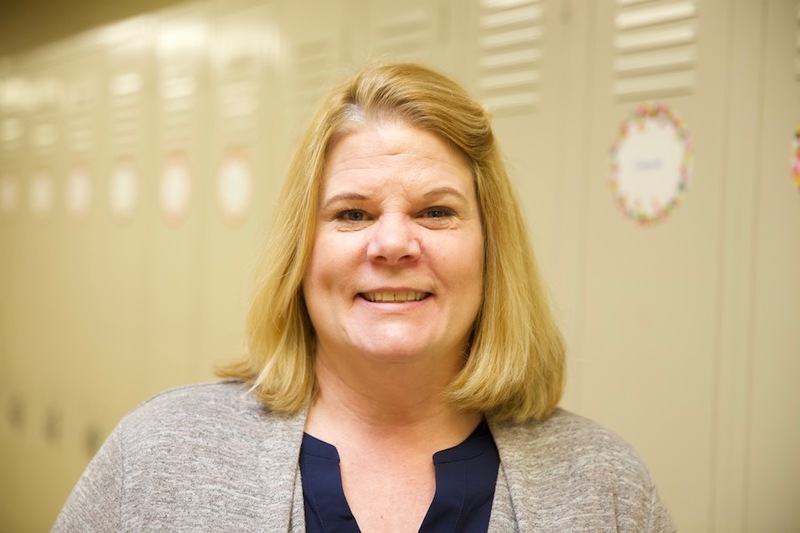 Kathy joined the Trinity family in August of 1984 when her husband, Rick, began teaching 3rd grade. Kathy graduated from Oconomowoc High School in 1981 and then entered Concordia University Wisconsin to study elementary education. She married Rick in 1984 and graduated from CUW in 1985. Kathy then received a call to teach 2nd grade at Trinity. She taught for 3 years before taking a 7 year hiatus to have 3 children. In August of 1995, Kathy went back to teaching part time at St. John’s Glendale. She taught 4th grade Social Studies, 5th grade Math, and 6-8 grade Language Arts. 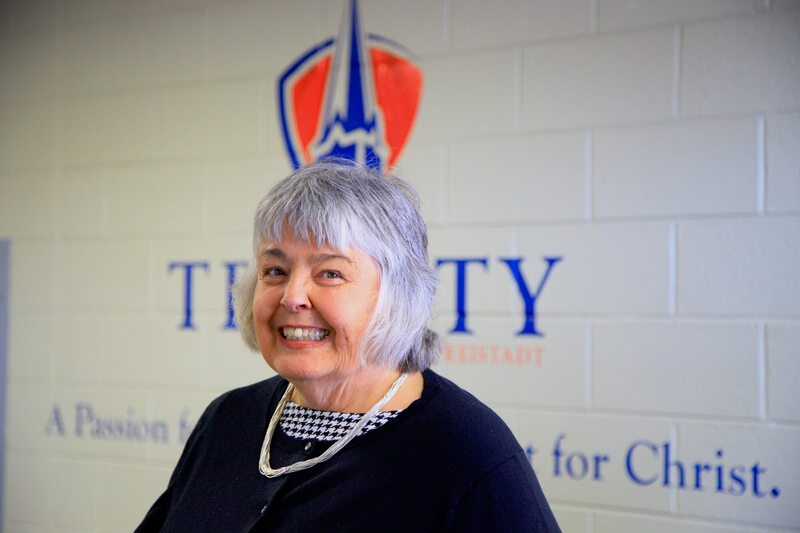 After 1 semester at St. John’s, the 2nd grade position at Trinity became vacant and Kathy was asked to rejoin the staff and she has been here ever since. 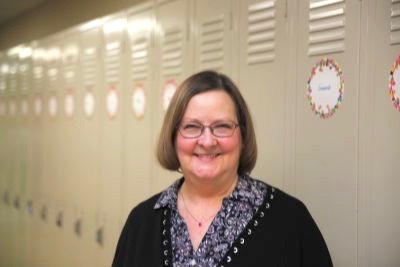 Kathy loves teaching 2nd grade and also enjoys playing in Trinity’s Handbell Choir, accompanying Trinity’s Mixed Choir, and giving piano lessons. She also participates in Mission Trips from time to time, teaches Sunday School, and attends T3 and small group Bible study. 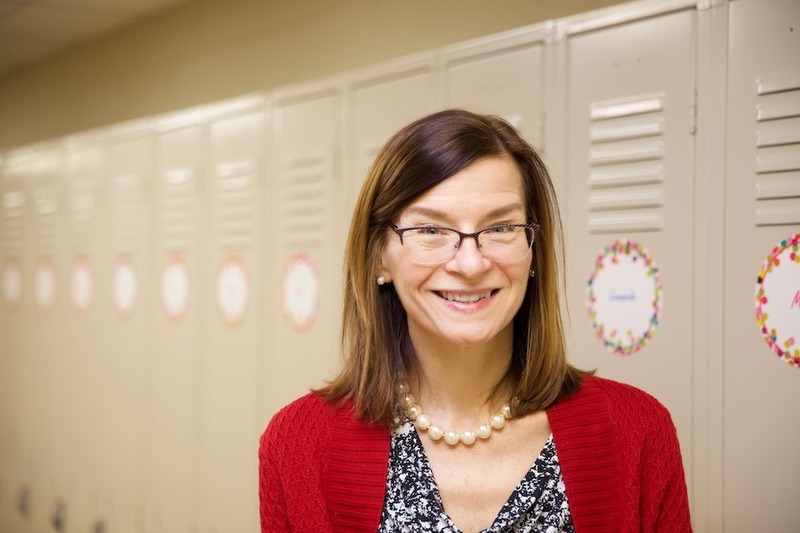 When not at school, Kathy enjoys reading, doing crossword puzzles, and spending time with her family. Samantha Prinsen joined the Trinity Freistadt family in June 2018. Samantha graduated in 2012 from Living Word Lutheran High School and then attended Concordia University Wisconsin. Samantha graduated from CUW in 2017 with a Bachelor’s Degree in Elementary Education with a minor in science. The 2018-2019 school year is Samantha’s first year teaching third grade here at Trinity. She loves adding creativity and differentiation to her lessons, and making them exciting and fun for her students. Outside of school, Samantha loves to spend time with her family, especially her nieces, nephews, and husband, Brad. She also loves to spend time reading, traveling, and playing sports. Emily Woelfel joined the Trinity Freistadt family in August 2018. Emily graduated in 2001 from New Holstein High School and then attended Concordia University Wisconsin. She graduated from CUW in 2006 with a Bachelor’s Degree in Elementary Education with minors in English/Language Arts and Adaptive Education. Emily’s first call was to teach 5th and 6th grade at St. Paul Lutheran in Fort Dodge, Iowa. 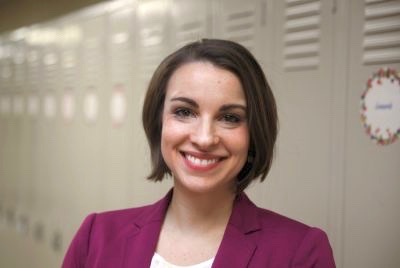 While teaching in Iowa, she also worked in the afterschool program at Butler Elementary in the FDCSD. In 2014, she accepted a call that would bring her back to Wisconsin to teach 3rd and 4th Grade at Trinity Lutheran in Oshkosh. 2018 is Emily’s first year teaching 4th grade at Trinity Freistadt. 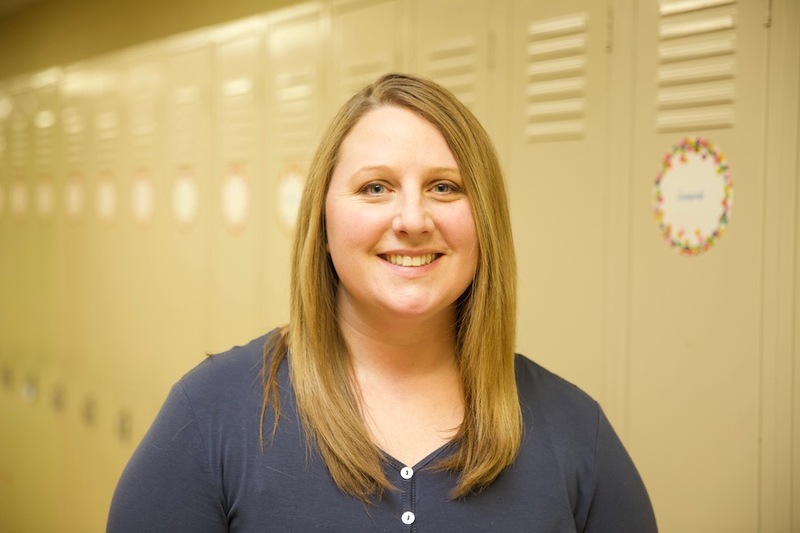 She loves helping students learn new things and loves to help them find books that they will love to read. Outside of school Emily loves to spend time with her family – especially her niece, Ella. You’ll also find her reading, baking, and traveling in her spare time. Rebecca Jahr joined the Freistadt family in the summer of 2014. 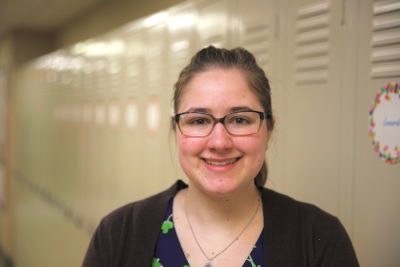 Rebecca graduated from AFSA Charter High School in 2010 and went on to Concordia University, NE to study Middle School Education with concentrations in Math and Social Sciences as well as a Lutheran Teaching Diploma graduating in 2014. Rebecca has also taken several professional development courses over the last few years including Math development courses at CUW as well as Tec21 through Concordia, NE. Trinity is Rebecca’s first call after graduation and she will be starting her 5th year of teaching in August 2018. Rebecca is also the Director of Athletics at Trinity. In her free time Rebecca is a member of Trinity’s Bell Choir and she enjoys reading, hiking, and photography. Bob was born and raised in Chicago, Illinois. He graduated from Charles Carroll Elementary School, Luther High School South, and Concordia Teachers College, River Forest (now known as Concordia University, Illinois.) He played football in high school and college. 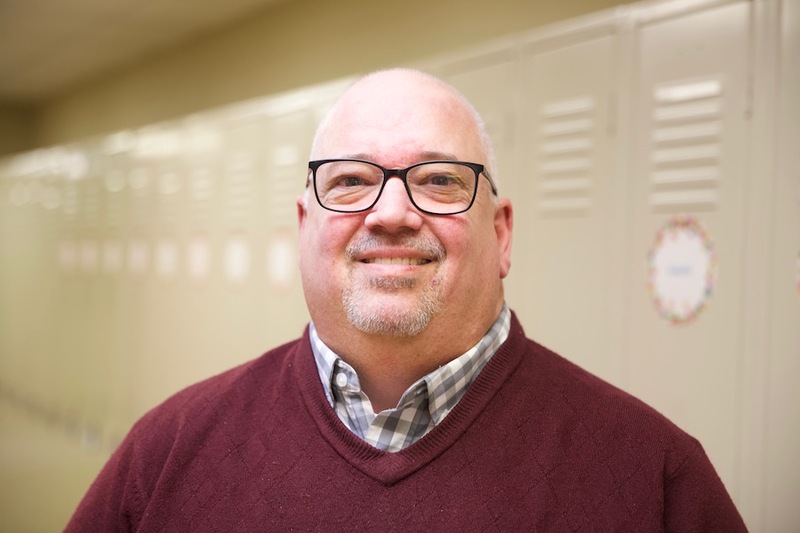 His first teaching experience came in the spring of 1978 when he replaced a physical education teacher at Luther High School North in Chicago who left the school to work on his master’s degree. In the summer of 1978, he received a Call to teach at St. Philip Lutheran School, Chicago, where he was the Seventh Grade teacher, Minister of Sunday Morning School of Religion, athletic director, and coach. In the summer of 1980, Bob was married to Sarah Schroeder who was teaching at St. Paul, West Allis. They decided West Allis would be their home so he moved to Wisconsin and has never regretted it. Later that summer, he accepted a Call to be upper grade math and English teacher, athletic director, and coach at Christ Memorial, Milwaukee. 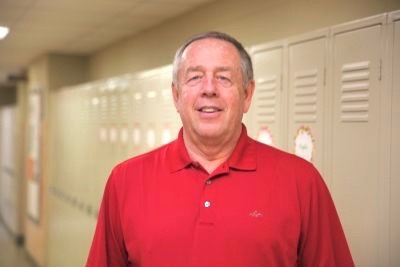 In 1988, Bob accepted Christ Memorial’s Call to be principal and teacher. He served in that capacity for twelve years. In the spring of 2000, Bob received his Masters of Education Administration degree from Concordia University, Wisconsin. Also in 2000, Trinity issued a Call to Bob to teach upper grade math and English. Bob has also served as athletic director, coach, referee, and worship assistant while at Trinity. Bob and Sarah have two daughters. Katey is a nurse in the stress lab at St. Luke’s Hospital in Milwaukee and is married to a Milwaukee police officer. Kelly is a pharmacist at the heart and vascular hospital in Indianapolis, and her husband works for a financial firm. Bob and Sarah have three grandchildren, Trip, Mitchell, and Lauren. Bob’s interests include golf, home repairs, Wisconsin Badger football and basketball teams, Milwaukee Brewers, Chicago Bears, going to his health club, but his greatest joy is being with his family. Vickie was born in Milwaukee, Wisconsin and has lived there for most of her life. Her grade school years were spent at Christ Memorial Lutheran School in Milwaukee where she is still a member. Vickie graduated from Milwaukee Lutheran High School and then went to UWM where she majored in Music Therapy. She left UWM after two and a half years to get married and raise a family of three children. Vickie was very involved as a volunteer at her children’s school and soon realized that she enjoyed my work with students. So, Vickie enrolled at Concordia University in Mequon and graduated with a double major: Education and Music (organ). 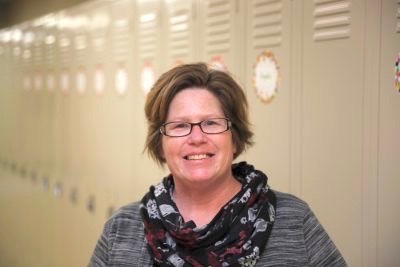 Vickie’s first year teaching was at Bethlehem Lutheran School in Milwaukee where she taught a combination of 3rd and 4th grades. Following that, and with much prayer, Vickie joined the staff at Milwaukee Public Schools where she worked for twenty-one years. The majority of the years there were in Middle Schools where she taught Science. 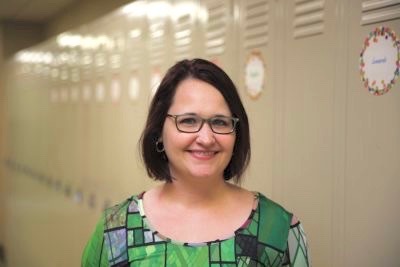 While a MPS teacher Vickie was fortunate enough to apply and be accepted into a number of fully funded classes and opportunities. The one she will always remember was being one out of sixteen teachers, in the USA, to be a Summer Sea Scholar and getting to spend twelve days on a Navy Survey Ship in the Gulf of Mexico. She worked with top scientists from around the country, completed numerous classes, dissected sharks, fed sharks, snorkeled, and participated in many experiments. After retiring from MPS, Vickie taught part time at Christ Memorial School until, sadly, they closed due to declining enrollment. From there she started subbing here and then was asked to teach science part time. Christ Memorial Lutheran Church is still where she is a member, and serves there as Church Organist, Hand bell Director and Choir Director, and is involved in Bible Class and LWML. Vickie’s free time is spent with family and friends. She enjoys traveling with her husband, camping along the shores of Lake Superior, connecting with friends around the country and Canada with a volunteer organization we belong to, trying new foods (camel sliders and crickets have been the latest), and working on crafts. Rick came to Trinity as a third grade teacher back in the summer of 1984. From 1984 through 1998, teaching third grade for four years and fifth grade for ten years. He also coached football, basketball, softball and track. In 1999, Rick transitioned into the position of Director of Youth and Family Ministry. When Trinity needed an interim principal in 2007, Rick moved into that role while continuing to oversee youth and family ministry. When Trinity called a full time principal in 2010, he transitioned to his current role as Director of Discipleship. Rick is native to the Milwaukee area, having attended Mt. Calvary Lutheran Church and graduating from Milwaukee Lutheran High School in 1980. He received his Bachelor of Arts degree (1984) as well as his Master of Science degree (1989) from Concordia University Wisconsin. 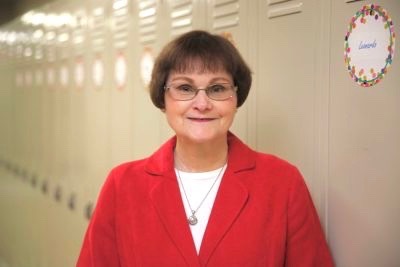 Marlene Forshee, Director of Music and middle school math teacher, joined the faculty at Trinity in August of 2004. 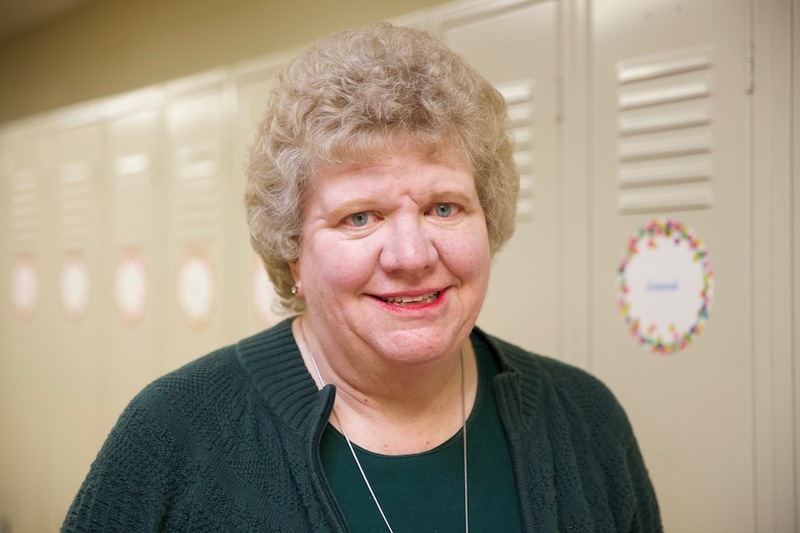 Marlene has been a life-long student of Lutheran education, attending St. John Lutheran School, Random Lake, Sheboygan Lutheran High School, and Concordia University Wisconsin. Marlene has spent her 28 years of teaching in a variety of settings, with a variety of ages. Her first Call was to teach third grade, play the organ, and direct the church and school music at Trinity, Sauk Rapids, MN where she met her husband, Richard. After returning to Wisconsin, Marlene taught pre-school and was the organist and music director at Beautiful Savior Lutheran Church, Waukesha, WI. After her God-mother’s retirement, she went back to her home congregation and started the kindergarten program at St. John, and served as their organist and music director for 8 years. God then led Marlene to accept the Call to be the Director of Music at Trinity, Freistadt. As the years progressed, Marlene took on more classroom duties, and currently also teaches middle school advanced mathematics. When Marlene isn’t at Trinity, she enjoys spending time with her husband Rich, daughter Amanda (English teacher at Wisconsin Dells High School), and son Tom (recent graduate of Concordia University Wisconsin, English major). She also enjoys reading, crocheting, hiking, and card making. Terry is in her 39th year of teaching. She grew up in Milwaukee and Germantown, and received a B.A. in Social Studies from Cardinal Stritch College, where she also earned Elementary Education and Reading Teacher Certification. After graduation, she taught in the Owen-Withee School District in Central Wisconsin before returning to the area to marry her husband Tim in 1987. She began teaching in the Mequon-Thiensville School District the same year. 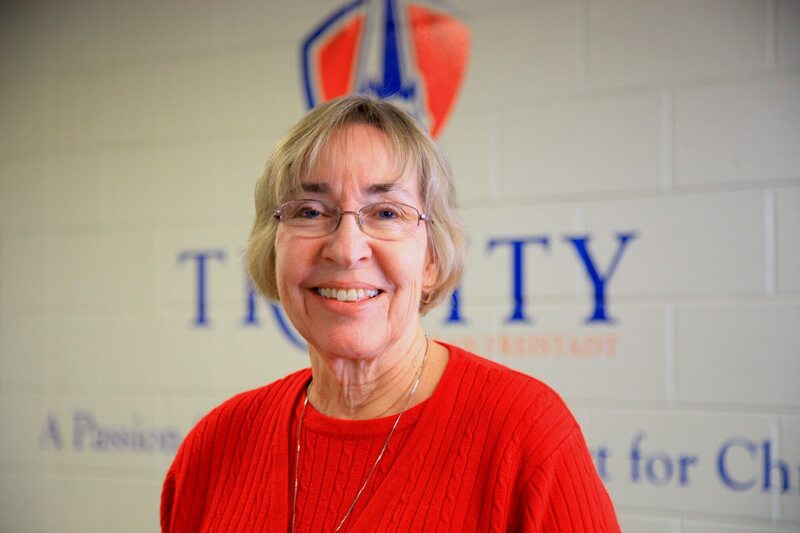 She retired from a fulltime classroom in 2014, and has been at Trinity since then. 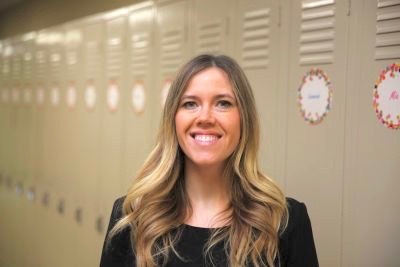 As a Support Teacher, she works with small groups of students, especially in Reading, Writing, and English as a Second Language. She also coordinates the school-wide testing programs. When not at school, Terry stays busy with various organizations, including the Trinity Freistadt Historical Society, Pommerscher Verein Freistadt, and Delta Kappa Gamma, which is a society for women in education. She also teaches in the Teacher Education Department at Marian University in Fond du Lac. She enjoys cooking, gardening, knitting, and crocheting. Terry and Tim live in “downtown” Freistadt. They have two grown children, one granddaughter, two grand dogs, and three cats. Susan was born and raised in Wisconsin. She graduated from Trinity Lutheran School-Freistadt, Milwaukee Lutheran High School, Concordia-Milwaukee, and Concordia-Seward, Nebraska. Her father, John Karpinsky, was teacher, coach, music director, and organist at Trinity-Freistadt for 26 years. Susan’s mother, Dorothea Karpinsky enjoyed singing in the Trinity choir, Lutheran Radio choir and the Lutheran A Cappella Choir of Milwaukee. 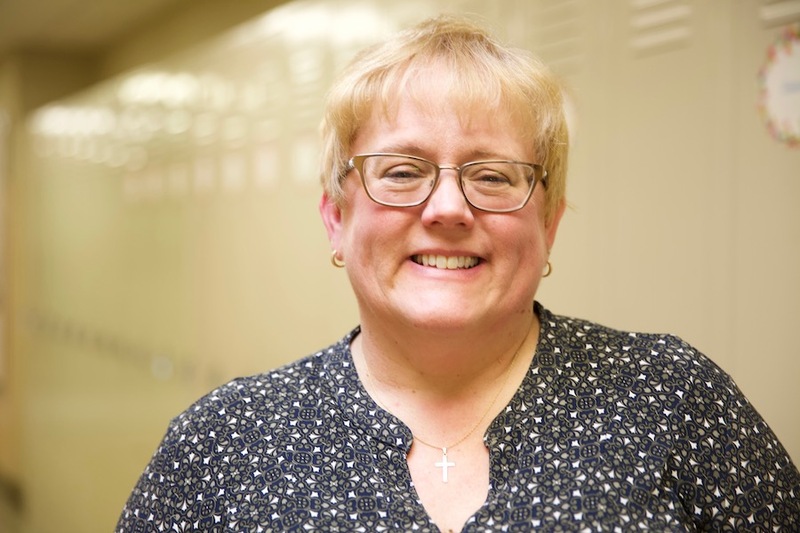 After graduation, Susan’s first call was to serve as first and second grade teacher at Immanuel Lutheran School in Mayville, WI, also known as the River Church. 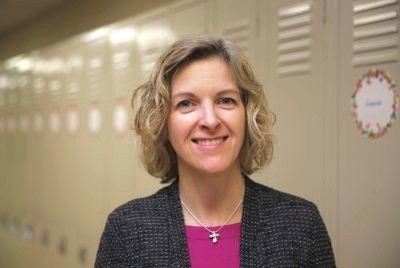 After one year at Immanuel, Susan was called to teach grades one and two at Bethlehem Lutheran School in Milwaukee. She served Bethlehem for 12 years before receiving a call to Trinity-Freistadt to teach first grade. Susan also coached volleyball, taught Vacation Bible School and Sunday School, and is the PTL faculty liason. 2017-2018 was Susan’s final year as being a full time first grade teacher. This year she is serving Trinity as a part-time support teacher. Greg and Susan have been married over 44 years and are blessed with two sons. Ben and Jacob are graduates of Trinity Lutheran-Freistadt and Milwaukee Lutheran High School. Ben lives in Menasha, Wisconsin. He is married to Melissa and have four children. Jacob lives and works in Waukesha, Wisconsin. Greg and Susan enjoy family time, camping, and bowling. They also like to cheer on the Milwaukee Brewers, Wisconsin Badgers, and Green Bay Packers as well as other Wisconsin sport teams.